Fushimi Inari Shrine located in Sapporo. 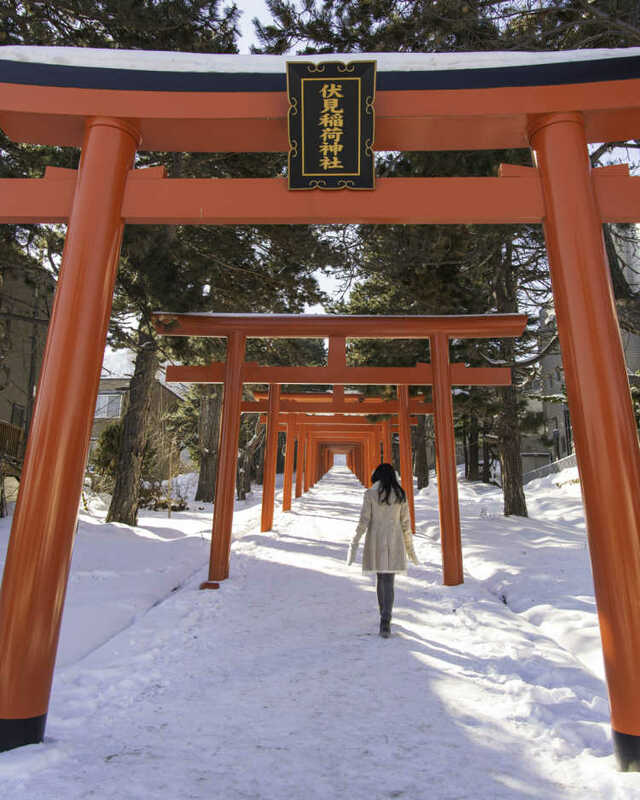 When it snows, we can see very beautiful contrast of red torii arches and white snow. You can access by bus but there's a few services, so it'll be better to go by taxi.